Cottage cheese is the secret ingredient to this scrumptious, fluffy recipe for Best Blueberry Pancakes. 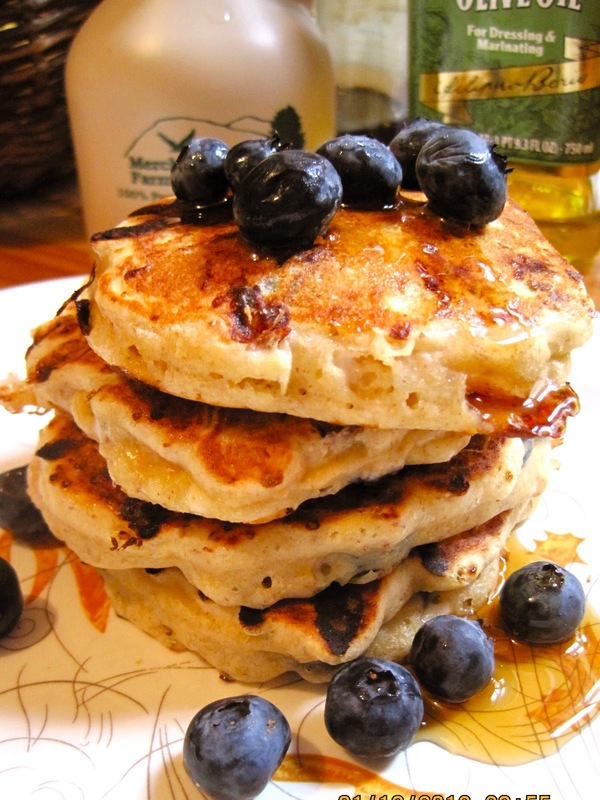 Filling in for a more caloric ingredient such as butter, cottage cheese keeps the pancakes light but satisfying. Also, it pairs perfectly with fresh blueberries and a touch of lemon rind. A lot of people shy away from cottage cheese because of the curd-like consistency, but its texture is disguised once it hits the batter. If the curds really turn you off, you can buy whipped cottage cheese, which is similar to ricotta- Friendship makes a nice 1% milkfat one. Cottage cheese makes a wonderful hunger quick-fix because it is very filling, but one of the lowest-fat dairy products out there. This is because it is made up mostly of slow-digesting casein protein and contains few carbohydrates. It is also a significant source of calcium. Be cautious though: cottage cheese is surprisingly high in sodium, so try to find a low-salt version if possible. Whole wheat flour and an abundance of antioxidant-filled blueberries make this pancake recipe an energy boosting and guilt-free start to your day. Make sure you cook them thoroughly though, I undercooked my first batch and the middle was pure batter! *The original recipe called for only white flour, but I substituted most of it for whole-wheat to to make the recipe healthier. However, I think this made the batter thicker and dryer than it should've been, so I added extra milk- about 1/2 cup- until the consistency was appropriate. Whisk flour, sugar, baking powder, baking soda, flax seed (optional) and salt in a large bowl. Moisten a crumpled paper towel with canola oil and use it to lightly oil a large nonstick skillet and heat over medium heat. Spoon on about 1/4 cup batter for each pancake and cook until bottoms are golden and small bubbles start to form on top, 3 to 4 minutes. Flip and cook until the other side is browned, 1 to 2 minutes longer. Lightly oil pan between batches. (Adjust heat as necessary for even browning.) Serve hot. "Cottage Cheese: Healthy Food of the Day." Answer Fitness. Apr. 2008. Web. 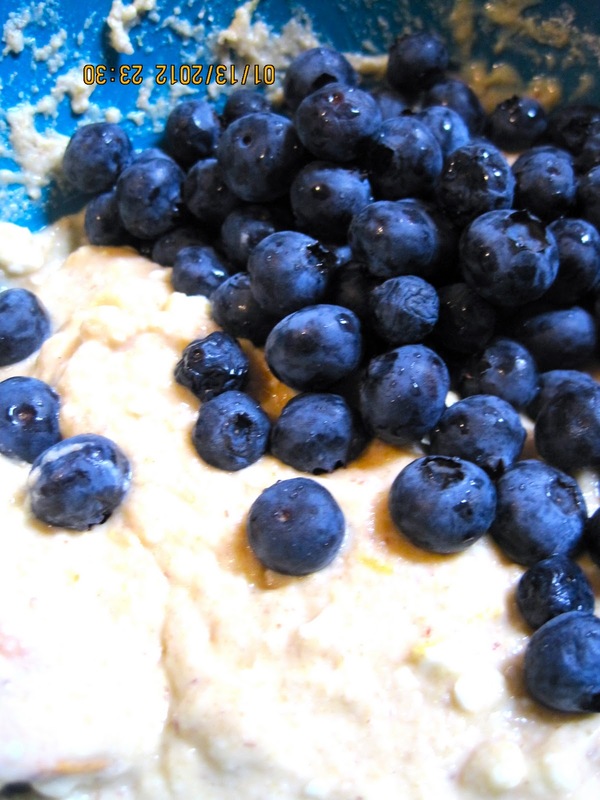 <http://www.answerfitness.com/116/fat-cottage-cheese-healthy-food-day/>.